Our company’s custom fabrication department is efficient, well-equipped and staffed by true professionals. 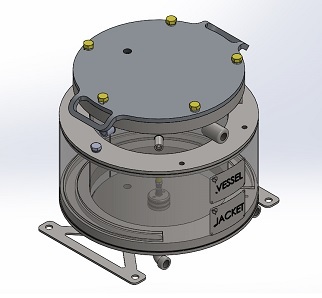 LaGrange Products will fabricate and manufacture your jacketed vessel cost-effectively and in a timely manner, meeting or exceeding every standard and inspection applicable. A jacketed vessel is a container that controls the temperature of its contents. This is achieved by wrapping an outer sleeve, or jacket, around the container and heating or cooling it as the application dictates. Hot water, steam, oil or gases are used as heating or cooling agents, and are contained within the jacket. Jacketed vessels are used in a variety of industries, including chemical, pharmaceutical, educational, food and the creation of dyes.